This year saw the first time that FEMA had elected to access reinsurance capacity to support the NFIP, with a $1 million purchase of reinsurance protection from three reinsurance carriers, under the National Flood Insurance Program 2016 Reinsurance Initiative. FEMA is actively looking to expand on that in January, with sources suggesting that a program has been marketed to reinsurers and also certain ILS fund managers, but as yet nothing bound or available in terms of the size of purchase and whether it will involve the capital markets. But the NFIP faces another issue, the fact that re-authorisation for the NFIP flood program needs to be approved in September 2017. A draft set of Principles to lay out a proposed way forwards for Flood Insurance Reauthorization and Reform were issued by the House Financial Services Housing and Insurance Subcommittee in recent days, led by Housing and Insurance Subcommittee Chairman Blaine Luetkemeyer (R-MO). The principles are supposed to provide guidance for the debate on NFIP re-authorisation in 2017 and call for risk to be gradually privatised in a number of manners, including through the use of reinsurance capital to underpin the NFIP and take an increasing amount of the burden of exposure and potential shortfall away from the government and taxpayers. Expansion of private sector flood insurance provision is part of the principles, as is use of the private risk transfer markets to support the NFIP and reduce the risk the government holds. The principles recognise the need for sources of risk capital to be diversified, calling for a requirement that both reinsurance and capital market alternatives should be leveraged, suggesting a growing role for the insurance-linked securities (ILS) market in supporting the NFIP’s reinsurance needs. 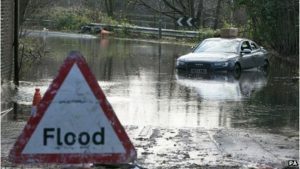 With ILS funds and investors ready to take on at least a portion of the flood risk held by the NFIP, structuring a flood catastrophe bond or more simply collateralised reinsurance layers, is now achievable at rates commensurate with traditional coverage options. Limiting taxpayer liability is a key aim of the principles and it is hoped that if a successful reinsurance purchase is achieved in January 2017, perhaps with at least some ILS market and capital market capacity participating, once the NFIP reauthorisation is approved a mandate will be given to de-risk the flood insurance program more aggressively. With the reinsurance market awash with capital and the ILS market seeking new opportunities to assume risk and able to command large amounts of efficient capacity as well, the time is right for the NFIP to look to instruments such as catastrophe bonds and collateralised reinsurance solutions, in order to reduce its risk and take advantage of market appetite.